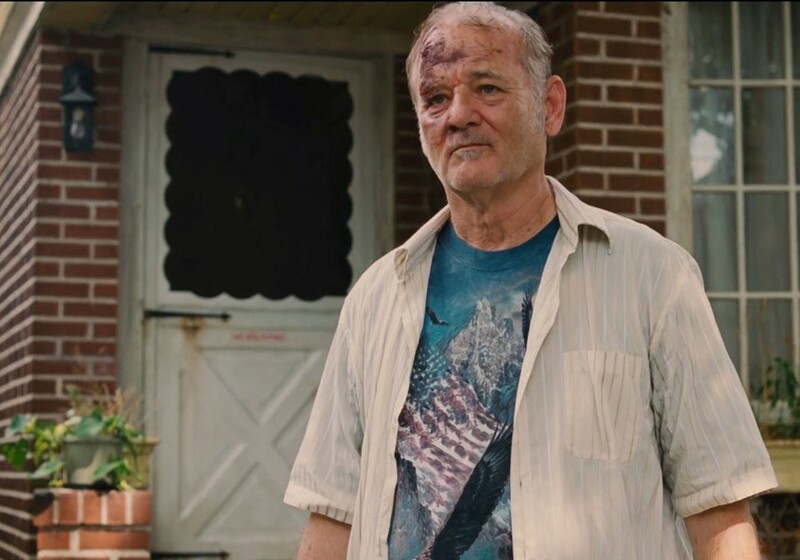 The bods over at Toronto International Film Festival have announced today as "Bill Murray Day", in honour of the veteran actor’s new comedy St. Vincent, which receives its world premiere tonight. And why not? For well over a decade now, Murray’s been enjoying a late-career renaissance that’s seen him transformed into something of a hipster icon; a silver-haired totem of laconic cool beloved of auteur talents such as Wes Anderson, Sofia Coppola and Jim Jarmusch. But if Murray’s gifts as a dramatic performer are taken seriously now, 30 years ago things were very different. Red-hot off the back of broadly comic outings like Stripes and Caddyshack, the Saturday Night Live alum’s star went supernova with Ghostbusters in the summer of ’84, a huge box-office success, which made him the most bankable name in Hollywood. But Murray was about to follow the biggest hit of his career with his biggest flop, and its failure was to have a profound impact on the 34-year-old actor. That flop, The Razor’s Edge, was an adaptation of W. Somerset Maugham’s 1944 novel of the same name (the title comes from an ancient religious text called the Upanishads: “The sharp edge of a razor is difficult to pass over; thus the wise say the path to salvation is hard.”). The novel tells the story of an American pilot, Larry Darrell, who flees to Europe in an attempt to find meaning in his life after he is left traumatised by his experiences in the First World War. His spirit quest ends up taking him to India, where his embrace of Eastern philosophy and rejection of Western materialism beats the hippies to the punch by about four decades. Murray wrote a screenplay for the novel with director John Byrum after reading 60 pages and announcing to Byrum over the phone at 4am, “This is Larry Darrell.” As a former student at a Jesuit school in New York, Murray was drawn to the book’s themes of spirituality and social non-conformism. In any case, Murray and Byrum had a tough time touring their script round Hollywood, with producers understandably jittery about casting the comedy superstar in a dramatic role. Finally, Dan Aykroyd suggested that Murray agree to do Ghostbusters for Columbia in exchange for green-lighting his passion project, which they did, to the tune of $12 million. “I told them I’m going to do The Razor's Edge or there will be no more Biggie Goes to College Movies,” Murray quipped in an interview with US magazine before the film’s release. The Razor’s Edge tanked miserably on its release in October of 1984. Audiences hoping to see the wisecracking clown of Ghostbusters (made after The Razor's Edge but released four months prior) simply had no interest in seeing Murray read Vedantic philosophy on a Himalayan mountaintop. Even in hindsight, the film’s flaws are glaring; the curiously uneven tone and lacklustre characterisation making it easy to see why critics deemed it a ‘noble failure’. It’s undeniably a jolt seeing Murray play it straight in a sweeping period drama, too. And yet, there are plenty of reasons why The Razor’s Edge remains a forgotten gem of the Murray back catalogue. It’s beautifully shot, features some surprisingly dark turns of events (carried in large part by an amazing Theresa Russell), and has a wonderfully stirring, broad-strokes score by Jack Nitzsche that’s like something out of a David Lean film. Moreover, the film functions as a kind of guide to Murray-ness; Larry’s wry detachment at the world achieving a zen-like quality through his bohemian wanderings. In his review of the film, Roger Ebert wrote that Murray “plays the hero as if fate is a comedian and he is the straight man.” It’s intended as a criticism, but it’s an observation that goes to the heart of Murray’s appeal: amid the knuckle-headed bluster of the go-getting 80s, Murray seemed fundamentally to get the cosmic joke of existence, presenting a hero of inaction that was a welcome antidote to Hollywood’s muscle-bound masters of the universe, and which was always destined to appeal to the likes of Jarmusch and Coppola. After filming wrapped on The Razor’s Edge, Columbia put Murray on a plane to New York to start filming on Ghostbusters right away. Coming off the back of shooting in India, it came as something of a culture shock to the actor, who was profoundly tired from the experience. After the film tanked, Murray took a four-year break from acting, moving to Paris in an ironic echo of Larry’s pilgrimage to read philosophy at the Sorbonne. Keen to protect his family from the pressures of fame, he retreated into study, taking a keen interest in the writings of the Armenian mystic George Gurdjeff (who inspired Kate Bush to write "Them Heavy People"), later returning with his wife and kids to their home in the Hudson Valley. Murray came back from his self-imposed hiatus (which he would later deem “the best thing I ever did”) in 1988, 10 years before Rushmore helped reinvent his image, and 15 before Lost In Translation rubber-stamped the transformation. There were highlights in between, of course – Groundhog Day, most obviously, plus a fine supporting role in Tim Burton’s Ed Wood. But it’s The Razor’s Edge, which ironically seemed to kill his dramatic career at birth, that laid the blueprint for the older, wiser – yet no less impeccably droll – Bill Murray we know today. For that alone, it’s deserves two hours of your time.